Paul is an enormously experienced specialist in the fields of commercial dispute resolution and employment. He has substantial experience of complex and high-value cases in the Business and Property Courts as well as in international and domestic arbitrations, including a number of ICC and Ad Hoc Arbitrations. Outside of his arbitration practice, Paul has extensive expertise in the Chancery and Commercial Division. 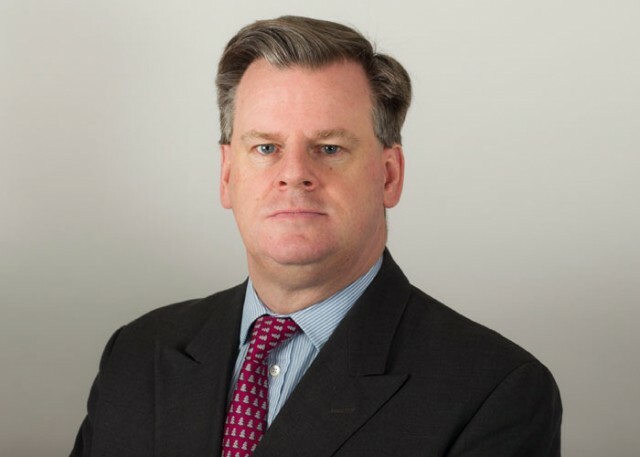 Paul’s vast experience in the commercial arena allows him to advise with gravitas not just on the legal aspects of business disputes; he is often also in a position to advise clients on strategic and commercial issues in relation to their businesses. Paul’s practice also extends into Asia where he regularly advises various parties in proceedings before the Federal Court in Malaysia, which is their Apex Court, on matters which touch upon English Law topics or Concepts. Paul has very considerable knowledge of disputes concerning probate issues, in addition to related areas of the law, including the challenge to life time gifts and claims under the Inheritance Act. His experience also extends to professional negligence actions arising from the handling of estates, related tax liabilities and applications to the Court of Protection as well as related claims concerning equitable estoppel. He was involved in the Jemma Trust litigation back in the earlier 2000s and many disputes since, mostly having been resolved before trial. Paul was Counsel in the case of Re H Simcock (2017) in which their tax position was complicated by a solicitor/executor advising the family to hide and not disclose over £400,000 in cash that was kept at the family home. Other experience in this area includes acting on behalf of a well-known comedian and comic actor suing his accountant about various aspects arising with his personal affairs and film production. Paul was also instructed in the Jemma Trust Litigation that involved a combination of negligence by accountants and executors, which got as far as the Court of Appeal, in which Paul was led by Robert Ham QC. Others that have got as far as the Court of Appeal include a claim against a firm of Accountants in the RSM network. Permission to appeal was revoked and Paul got costs on an indemnity basis. Over the last 7 years Paul has been involved in a series of long Chancery trials and disputed Unfair Prejudice Petitions, as well as international and domestic arbitrations. Other work includes insolvency related matters, partnership, shareholder, internal company as well as contractual disputes. Re AA Corporation (2018) - Advising on dispute concerning a contract for supply of over 1000 miles of pipe line. M K Patel v B Patel and others  EWHC 1398 - Dispute concerning allegations in respect of a worldwide Estate worth many millions of pounds. Claim against a property in England defeated and claim for a worldwide account not accepted by the Court. Re AB Limited (2017) - Advising on a warranty claim and the consequences of the liquidation of the vendor and guarantor. Re AC Limited (2017) - Advising on Claims by Company to protect employees from harassment. Re A v B (2017) - Advising on dispute with allegations that properties had been transferred as part of a fraudulent scheme. Re BB Limited (2017) - Advising directors on allegations that they were misappropriating company funds and misusing company assets. RE Estate of H S Simcock (2017) - Dispute about an application to vary an Order made as a result of an Application under the Inheritance Act where increased tax liability on the estate as a result of incorrect IHT returns being made by earlier executors. Re AA Limited (2017) - Advising on an unfair prejudice petition where petitioner forced to leave and attempts to reduce shareholding. Stanbic Bank Ghana v Rajkumar Impex Private (2017) - Obtaining judgment for over US$11Million on a claim based on a Deed where the Defendant based in India decided to ignore the English proceedings. Re AD LLP (2017) - Advising on terms of LLP for an Investment house in the context of leaver provisions. Re AE Limited (2017) - Advising on issues arising from ECGD agreements with UK Export Finance and possibly future liabilities. Re BB Company and Charity (2017) - Advising on the implications of attempted changes to the purpose and operation of a Charity and Company. RE BC Limited (2017) - Advising on the terms of the Settlement Deed in respect of claims made against a CFO of a Venture Capital Provider. Paul advises on all aspects of non-contentious and contentious employment matters, representing clients in the Employment Tribunal and related High Court Litigation. This includes advising clients in advance of potential issues arising; preparing clients faced with the challenges of starting a business or advising with regard to the demise of a business and the challenges created by TUPE and the Acquired Rights Directive. In the past he has also advised on large scale collective redundancy plans, high level discrimination claims, jurisdiction issues as well as the enforcement of restrictive covenants and garden leave clauses. Over the last 7 years Paul has been involved in a series of long Chancery trials and disputed Unfair Prejudice Petitions, as well as international and domestic arbitrations. Other work includes insolvency-related matters, partnership, shareholder, internal company as well as contractual disputes and professional negligence claims arising out of such disputes. Re BD LLP (2017) - Advising on terms to settle claims made by a departing Member and allegations of diverting funds. Re BE Limited (2017) - Advising directors on allegations by shareholders that they were failing to take steps to protect company assets. Re CC Limited (2017) - Advising director on claim by Liquidator that company funds misused by him. Re FF LLP (2017) - Advising a departing Member of a LLP of Solicitors on her rights and obligations under the Agreement. Re A Firm of Solicitors (2017) - Advising a Partner on the merits of a claim to remove another Partner and options. Re HH Limited (2017) - Advising a Company with regard to allegations of inducing a breach of contract and duties of confidentiality. Re A Dentists Partnership (2017) - Advising a departing Partner on his rights and liabilities under the Deed. Re JJ Limited (2016) - Advising as to claims against an agent for diversion of funds after sales of relevant goods. Re PP LLP (2016) - Advising on merits of a claim by a departing Member and impact of alleged anticipated claims on recovery of capital and current account. Re Multi Party Claim (2015) - advising on issues arising from the liquidation of a party and the related insured and uncovered claims. Re a Property (2015) - advising with regard to the issues arising from the administration of a series of companies developing a multi-million pound site. A v A British Overseas Territory (2015) - contractual claim arising out of oil exploration. Company in Liquidation v B (2015) - defeating a claim by liquidators as well as obtaining a costs order against the liquidators themselves. A v B (2014) - substantial dispute concerning bank’s failure to convert sterling at the time requested before a fall in the market. A v B (2013) - dispute about a bank manager who was lending monies to bank customers at higher rates than offered by his employer after he rejected their formal loan applications. A v B (2014) - Federal Court case about need for finality and inconsistent decisions. C v D (2014) - Federal Court case about Equitable Damages and measure of damages against a trespasser. Re a PLC (2015) - complex dispute about a substantial PLC involving serious allegations involving a senior director and millions of pounds of missing funds. A v B (2015) - obtaining enforcement of judgment by setting aside a sham transfer. A V B (2015) - dispute about false Silver Hallmarks. Mead v Simcocks (2014) - complex dispute where Executors were found to have removed and hidden in excess of £400,000 of cash so as to frustrate claim and avoid tax liability. A Ltd V B Ltd & B (2014) - multi million pound claims for Breach of Agreements and fraud. Re a Company (2014) - claim against Senior Director for removing company assets and under declaring income. Re Spearmint Rhinos (2013) - allegations of fraud and dishonest receipt. A v B (2013) – representing shareholders on claims arising from monies being diverted to other companies beyond the control of the main shareholders. A v B (2013) - disputing fraudulent claim for over of £500,000 worth of alleged works and services allegedly provided. A v B (2013) - advising on a claim against a struck off solicitor who had diverted substantial funds for own benefit. Re Topworkman.com Limited (2011) - allegations of fraudulent misrepresentations. JD Weatherspoon PLC v Van Ber Berg  EWHC 639 Ch - fraud by land agents over JD Wetherspoon chain and the duties owed by directors to clients of their company. Re a Company (2015) - advising on the appropriate remedies for the actions of the Board of the Holding Company Board and sister companies. Re a Company (2015) - advising on a petition based on exclusion with dispute as to validity of shareholding. Re a Company (2015) - advising on status and effect of leaver provisions and impact on section 994 Petition. Re a Company (2014) - advising on merits of a petition commenced after shareholder/director removed due to gross misconduct. In the Matter of NCS Holdings (UK) Limited (2013) - a Section 994 Petition that raised issues with regard to the conduct of subsidiary companies and the appropriate remedy. In the Matter of Kilopress Ltd (2010) - dealt with the impact of Part 36 Offers in the context of Petitions. In the Matter of CV Holdings (2010) - dealt with refusal to create a level playing field of information and conflicts between the petitioners. Re Estate of BBB (Deceased) (2017) - Dispute about Estate and whether married couple still lived as man and wife and possible Inheritance Act Claim. Re Estate of CCC (Deceased) (2017) - Advising of merits of claims that family members had taken money and assets from unwell mother. Re a Property (2015) - a complex dispute conserving estoppels arising due to rent agreements before purchase of property. P v P (2015) - multi party dispute with allegations concerning allegedly multi-million point estate spread around many jurisdictions and applications re foreign executors. Re Noddings (2015) - attempts made to remove executor by token applicants directed by the killer of the deceased. Harts v Burbidge  EWHC 1628 (Ch) and Court of Appeal  EWCA Civ 992 - challenges to life time gifts made by deceased to her daughter. Parkinson v Fawdon  EWHC 1953 Ch - Court's ability to construe or rectify a will when the named executor did not exist. Noddings v Noddings (2013) - allegations against executors with regard to dissipation of assets and failure to insure estate property. Re An Estate (2015) - extracting estate accounts from reluctant executors. Re an Inheritance Act Claim (2015) - advising on claim by estranged step daughter claiming via Estate of Mother. Re an Inheritance Act Claim (2015) - advising on claim by widow and stepchildren against adult children following a badly drafted will and agreement. Re an Inheritance Claim (2014) - advising on claim by cohabitee against adult children involving missing assets. Re an Estate (2014) - equitable claim for compensation by Legacy Hunters. Re A Partnership (2014) - claims arising from dishonest acts of deceased partners discovered after death. Re an Incorporated Association (2014) - disputes about operation of Articles and termination provisions. Jemma Trust v Kippax Beamont Lewis  EWCA Civ 248 - Court of Appeal decision about solicitors negligence in Court of Protection Application. Clinicare v Orchard  EWHC 1964 QB - misrepresentation claim about the treatment of dry rot. Colonial Finance Limited v KSC Trading  EWCA Civ 1593 - Court of Appeal decision about construction of a commercial agreement. Bellamy v Central Sheffield University (2003) - Court of Appeal decision about a failed Wasted Costs Order and the costs. Sharif v Garrett  EWCA Civ 1269 - Court of Appeal decision about assessing loss of chance in a solicitors negligence case. Barratt Homes v BBF Consultancy  EWCA Civ 1155 - Court of Appeal decision about whether exchange of letters created a contract. Profinance Trust v Gladstone  EWCA Civ 1031 - Court of Appeal decision about award of interest in Unfair prejudice petitions. Scottish Equitable v Derby  EWCA Civ 369 - Court of Appeal decision about change of position defence and payments made under mistake. Hylton Potts v Gemshore (2001) - application to rectify charge register as charge a sham. Tanfern Ltd V Cameron-MacDonald (2000) - leading Court of Appeal Decision on Appeals under the CPR and related Procedure. Roberts v Bentley Jennison (2000) - Court of Appeal decision revoking permission to appeal granted when Court not informed of all facts. Target Holding v Oxborough (2000) - Court of Appeal decision about strike out for want of prosecution. Ebert v Birch (1999) - Court of Appeal decision about vexatious litigants. Paul advises on all aspects of non-contentious and contentious employment matters, representing clients in the Employment Tribunal and related High Court Litigation. This includes advising clients in advance of potential issues arising; preparing clients faced with the challenges of starting a business or advising with regard to the demise of a business and the challenges created by TUPE and the Acquired Rights Directive. In the past he has also advised on large scale collective redundancy plans, high level discrimination claims as well as the enforcement of restrictive covenants and garden leave clauses. Many TUPE issues arising out of the relation between English subsidiaries of American/other Parent Companies and the problems of explaining TUPE to non-European employers. ET Jurisdiction re employee working on a ship, yet never worked in the UK. Determining the apportionment of liability under TUPE in respect of a fluctuating work force. Claims of senior director to retirement package and shareholding where disputes as to correct version of agreement. Claims arising in multi jurisdictions due to 5 agreements about or related to the employment of CEO with different applicable law. Claims relating to “forced” relocation to Germany and use of without prejudice communications. Claims of discrimination and bullying. Claim arising from demise of Lehman Brothers in administration. Re AA Limited (2017) - Advising on claims made by a CEO who was alleging constructive dismissal. CLC v BM (2015) - claim involving allegations that senior employee diverted contract to new prospective employer and used confidential information. A v B (2015) - multi-million pound dispute about impact of Bad Leaver provisions. Akhter Computers v Smith & P (2015) - opposed applications for injunctions by employer and had case struck out for repeated breaches of Orders and Directions. Claims by English Senior Manager that discriminated by non-UK Management. SSD v PVT & A (2014) - dispute about construction of employment terms and related duties. A v B (2014) - application to stay ET proceedings pending chancery action for misfeasance. C v D (2014) - application to stay ET proceedings pending unfair prejudice petition determination. Presented numerous lectures and seminars on a range of English Law topics at Annual Conferences in the UK and Far East.